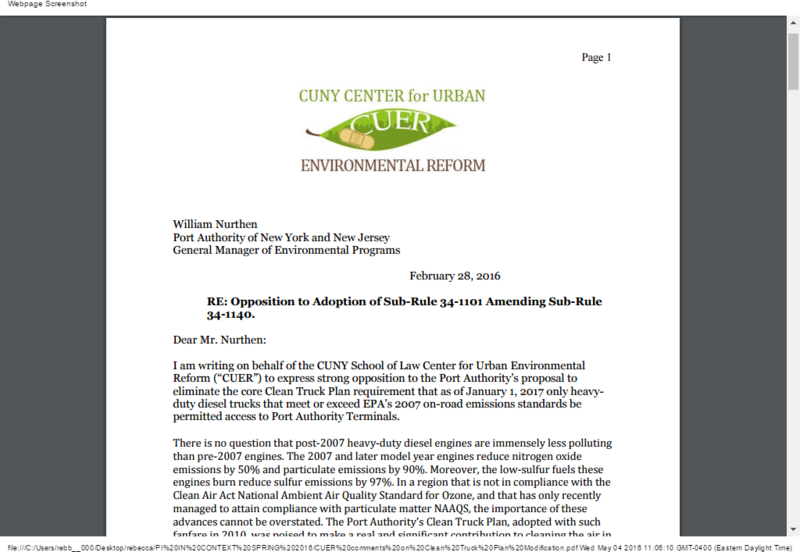 CUER filed official comments raising serious objections to the Port Authority’s plan to abandon its Clean Truck Plan, the ambitious plan that would have dramatically reduced air pollution across the region. Thirty-five CUNY students also submitted comments. Sadly, despite claiming it was holding a public comment period, the Port Authority neither acknowledged receipt of these comments nor responded to the very pressing substantive concerns raised. New York and New Jersey deserve more!